OK, let’s get it over with. Click to watch this short video to establish the context for what is to follow. As a disclaimer, DON’T try this at home; and we don’t endorse the website or any of the other content on it. So, on some level, I get it. He’s having a blast. The sheer novelty, the shock, the speed — sort of like those extreme amusement park rides, except this guy did it out in his back yard. However, I also related to the image in a different way, that led me to consider once again our culture’s attraction to all things extreme, and how that affects each of us on a personal level. The human brain has a high need for novelty. The expectation of novelty keeps us focused, learning, and adapting to our environment. Extreme sports, with their speed, danger, and high performance demands, provide an ideal fantasy outlet for spectators who do routine work. Watching or participating in an extreme sport seems like a perfect antidote for boredom. To digress momentarily: when was the last time you got excited about seeing a television program or a movie in color? Never, right? Unless you remember the year 1939, when The Wizard of Oz was one of the first movies to use the brand new technology of color film. If all you had ever seen on screen had been black and white, can you imagine the shock and amazement of seeing moving images in color? It’s hard to imagine now, getting that excited over something we take for granted. Another example: watch the original Star Wars movie from 1977. The special effects were amazing at the time. Now, they look kind of quaint in comparison to what is possible today. To bring it back around to the point, our “threshold” for novelty has ramped up with each innovation in entertainment, culture, sports, business — everywhere. As a result of this higher threshold, it takes a lot more stimulation to even register on the scale of attention. Put another way, sustained levels of high stimulation actually makes you LESS SENSITIVE. The higher threshold, or the point at which a stimulus is of sufficient intensity to begin to produce an effect, explains why we quickly get bored or take things for granted. Soon, even being hurled across his backyard in a giant slingshot will not be enough to make our fun-loving friend feel alive. The other side of the coin is this: sustained high levels of stimulation that are associated with trauma are equally destructive, in that the traumatized person can become overly sensitized, or hypersensitive. The sound of a door opening, a car hitting a bump in the street outside, or a siren in the distance can trigger a cascade of hormones, neurotransmitters, anxiety and panic that is Post-Traumatic Stress Disorder, or PTSD. The brain’s calibration system is out of whack. The higher threshold may also explain why we increasingly mistreat ourselves. Our self-expectations are frequently built on notions that have no basis in reality. Why must we punish ourselves to lose weight? Why must we splurge unhealthily to celebrate? Why must we exercise to the point of exhaustion and injury? Ancient religious aceticism, the mythology of sacrifice, pain, and struggle as being part of the superperformer’s compelling backstory, all contribute to our unthinking use of ourselves. It’s as if we fear that without a punishing workout regime, we will lose all our strength and vitality, and die. Many refuse to see that their injuries and pain are self-inflicted, and unnecessary. Living under this constant stress makes us less able to handle the inevitable stresses of life. You can waste your physical, mental, and emotional resources by “always giving 110%,” or demanding it of others. Living 10% beyond your means will certainly lead to bankruptcy. 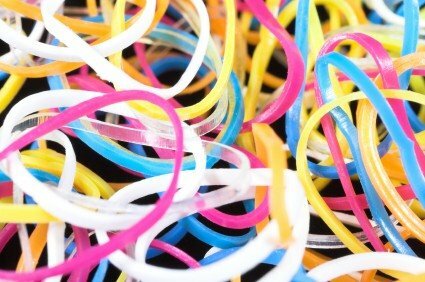 Like a rubber band that gets stretched to the snapping point, we lose our resiliance, our ability to spring back. Put another way, life can lose its color, and eventually no thrill will restore it. Moshe Feldenkrais, a revolutionary thinker of the last century, took a radically different approach to the idea of novelty as applied to learning. All achievement of any kind starts with learning, and learning begins with being able to pay attention. God and the Devil are in the details, and details are essential subtleties on the path to mastery. In Feldenkrais lessons and classes, I use body movements to teach people how to lower the levels of stimulation in their nervous system and in their lives. With directed attention and a quiet, slow pace, results occur quickly, seemingly as a little miracle. Stress levels drop, pain is relieved or eliminated, sensation and sensitivity recalibrate for normal functioning. Inner resources of strength appear, or are restored. The student discovers, under a gentle and playful regime, what simple and wondrous novelty there is in every moment, in this body. SO– it might not be necessary to torture yourself, or your organization, to elicit your best work. In the words of Don Miguel Ruiz, “If you try too hard to do more than your best, you will spend more energy than is needed, and in the end your best will not be enough.” You don’t have to build a giant slingshot in your back yard in order to feel alive, joyful, and effective. Give yourself some loving attention, lie down on the floor in a Feldenkrais class, and watch your wonders unfold.